TITLE: God Bless Us, Every One! As Charles Dickens dipped his pen and began to write the classic tale A Christmas Carol in the autumn of 1843, the spirit of the story captured his heart and mind in an extraordinary way. Dwindling sales of his previous books had resulted in a desperate financial situation for Dickens, who had used much of his income to support worthy causes and needy family members. But the book which he had intended as a quick solution to his problems turned out to be much, much more. This beautifully illustrated volume tells the story behind the writing of Dickens's most famous work and reveals how he discovered the spirit of Christmas for himself with a little help from his own literary characters. John Rhys-Davies is one of modern cinema's most recognizable character actors, best known for his role as the ax-wielding dwarf Gimli in the Lord of the Rings trilogy. He has gained widespread fame on British television and received an Emmy Award nomination for his work in the television miniseries Shogun. Brandon Dorman is the illustrator of the New York Times bestseller The Wizard. His work has appeared in children’s books and on numerous covers, including the Fablehaven series and The Candy Shop War series. 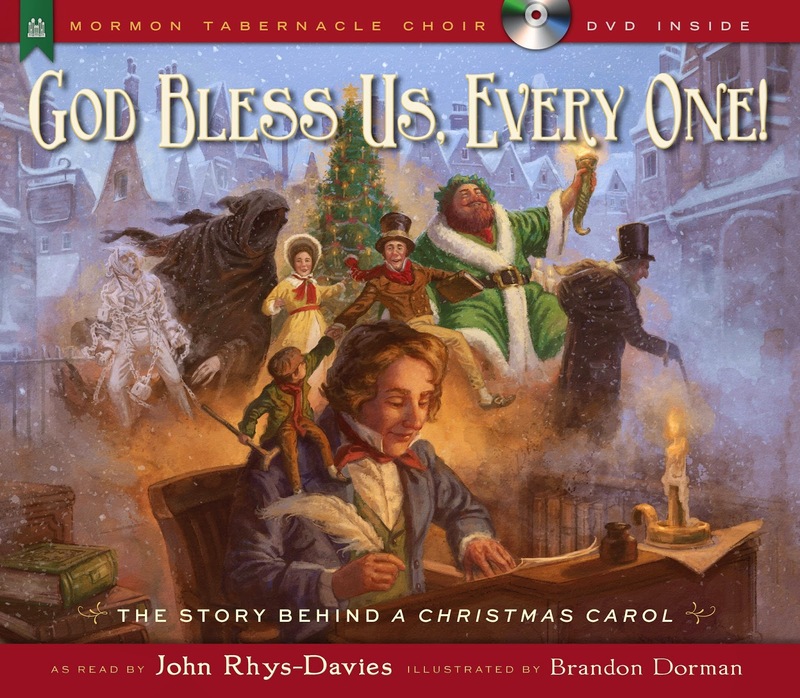 I love the book and dvd with the Mormon Tabernacle Choir. This is my second year of receiving their Christmas book and DVD for reviewing. It is also going to be the second time I am going to buy a couple of the book & Dvd as Christmas gifts. 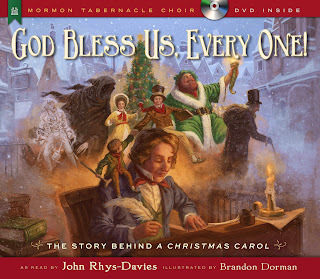 The Dvd was beautiful, the singing wonderful and I enjoyed the actors and choir perform. It was peaceful, full of Christmas Spirit. The story tells about Charles Dickens of his life and what was going on in his life. Why he wrote Christmas Carol. I loved watching Charles and Spirit of Christmas flying in the air over the conference center. The Mormon Tabernacle choir as always sounded wonderful and looked wonderful. I wish I could sing like that and inspire like that. The book tells the story too with out the music. The Pictures are beautiful. They are art I would love hanging on my walls if it would not destroy the book. Brandon Dorman is a true artist in my eyes. This is another book to add to my yearly Christmas must read or watch. It leaves you feeling uplifted.